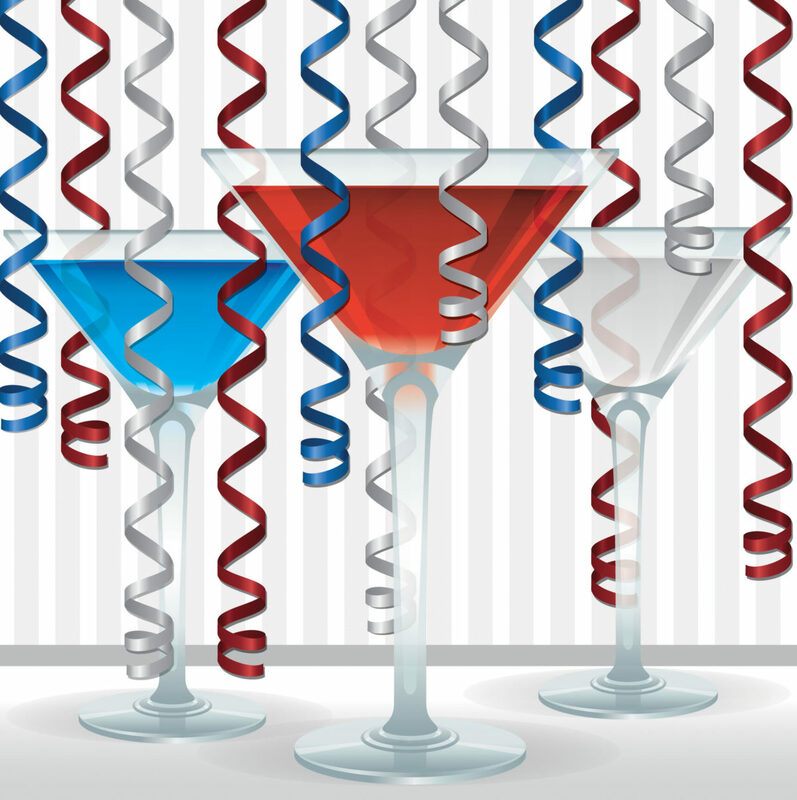 This 4th of July weekend as we all enjoy our families, fireworks, and clink our cocktails to celebrate, I’m keeping a tradition my husband and I started with our kids: reflecting on the history that makes the holiday. We talk about how the tradition of fireworks began with John Adams. And we remember to be grateful for the sacrifices so many Americans have made––and still make every day––in order to keep our families safe and free… including my Dad and my father-in-law, both proud veterans. Independence Day is also a perfect time to reflect on what freedom means to you. I recently went on a three-day business retreat with five amazing women. The six of us refer to ourselves as “Good Life Gals” ;). To me, the retreat was an opportunity of a lifetime spent with five inspiring entrepreneurs. We learned from each other, laughed with each other… even cried with one another. It was a chance to mix business and pleasure, while exploring each of our brands and elevating our businesses. We shared stories of success and stories of sadness––we even shared shoes, sleeping quarters, and secret recipes! I often think of how grateful I am for that experience––and how cool it is––that we have the freedom to travel, enjoy free enterprise, and build our own businesses. So this holiday weekend as you enjoy your family time and traditions, let us toast to 1776––the birth of America––and to our forefathers initiating a 240-year tradition to celebrate the Declaration of Independence––making our freedoms today possible! And if you are looking for new traditions, below are two July 4th recipe traditions I started this year! One is a simple watermelon and blueberry fruit salad for the entire family and the other is a yummy drink mixture I picked up during the retreat from one of the Good Life Gals: Amy Biederwolf (I’m just changing her star fruit to watermelon to stay in line with my patriotic theme ;). I hope you enjoy both of them and your 4th of July weekend!! Wash fruit and cut watermelon into slices. Cut watermelon into stars using the star cookie cutter. 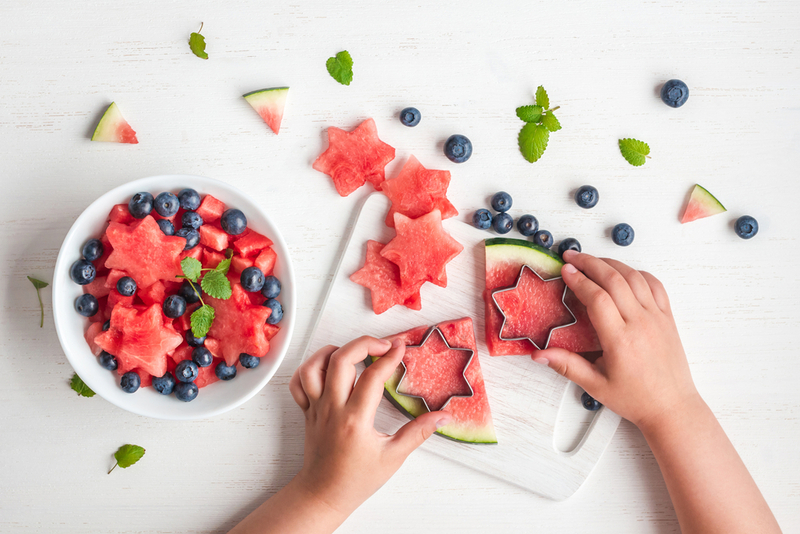 Add some blueberries in a bowl with the watermelon stars and sprinkle a dash of sugar across the top. Garnish with mint. Enjoy! Mix 1-part vodka with 3-parts Collagen Cocktail, add ice and a splash of club soda for sparkle. Drop a few blueberries into the glass for color (optional), and then place a star-shaped watermelon on the side of the glass for garnish. You can put some blueberries on a skewer (or toothpick) with a star-shaped watermelon on top and use it as a garnish/drink mixer in your Collagen Cocktail. For a non-alcohol version, just skip the vodka. Cheers to a cocktail that not only looks good and tastes good… it’s good for you too! I love this Cindy! You are such an inspiration! So happy we met and will have memories and a friendship forever. The cocktail and sentiments added to our celebration! Thank you Wendy, love to hear that! Wow, looks Fabulous. So festive! Cant wait to try it!